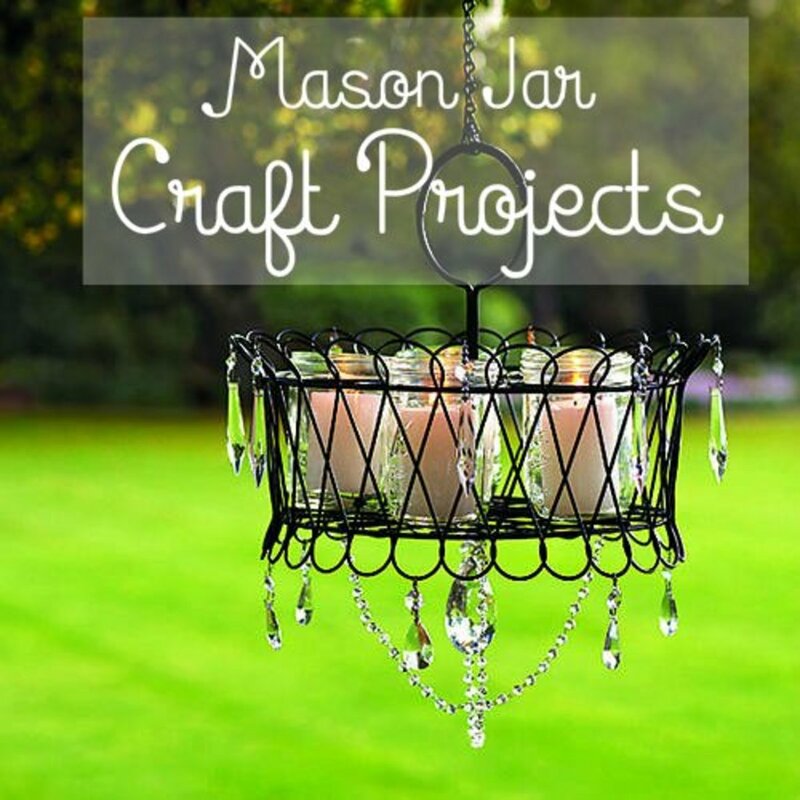 In this article you will find only projects that include a picture, and directions. Just click on the site name and you will be taken directly to the tutorial. 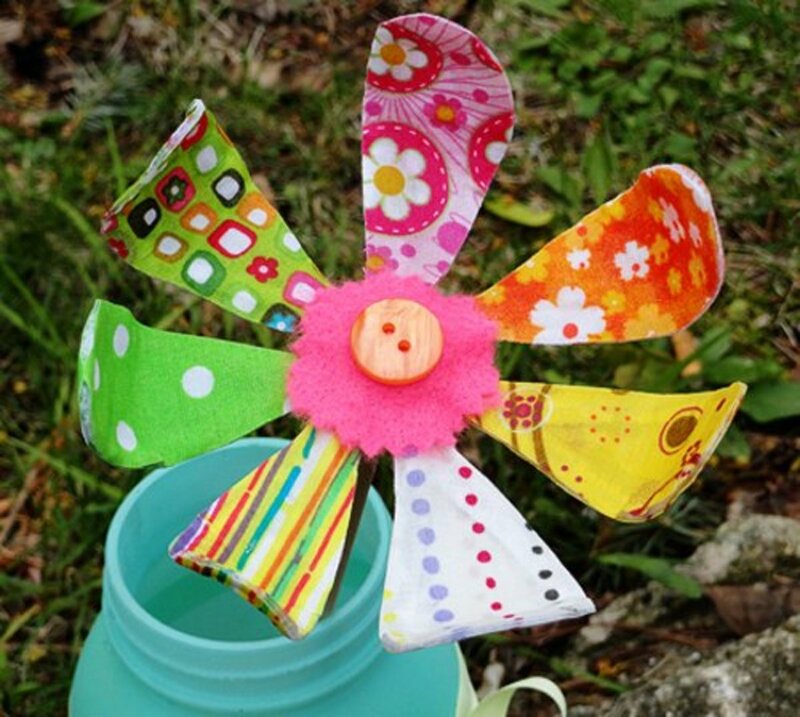 Projects include: wreaths, wall art, napkin holders, flowers and crafts for kids. To make the beautiful wreath shown above, go to Proverbs 31 Life. 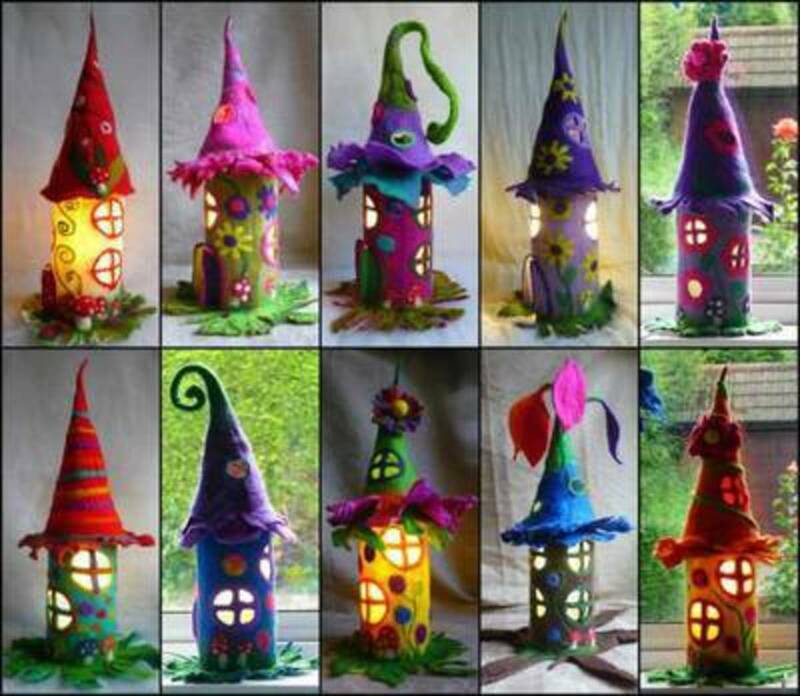 Imagine all the wonderfully fantastic fairy houses you can make. 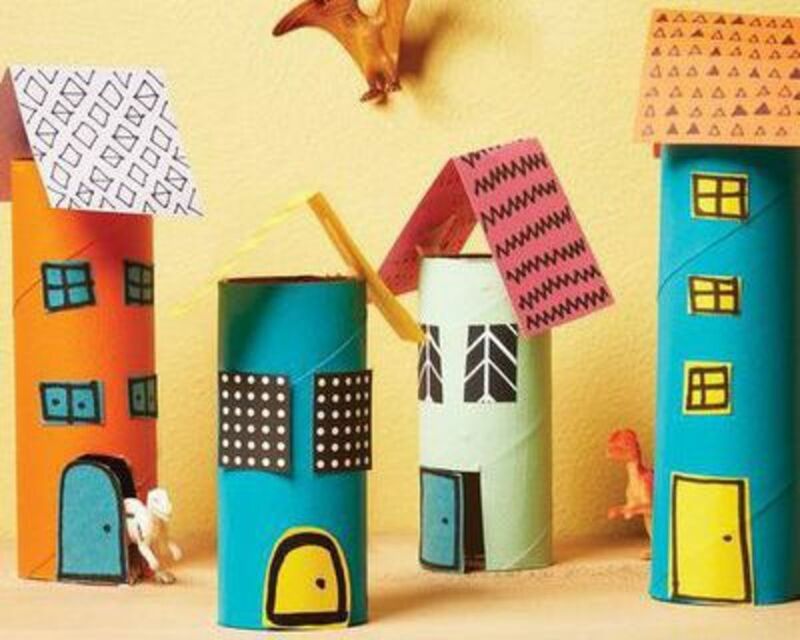 You'll find the tutorial and the examples for making these little houses at Wonderful DIY. 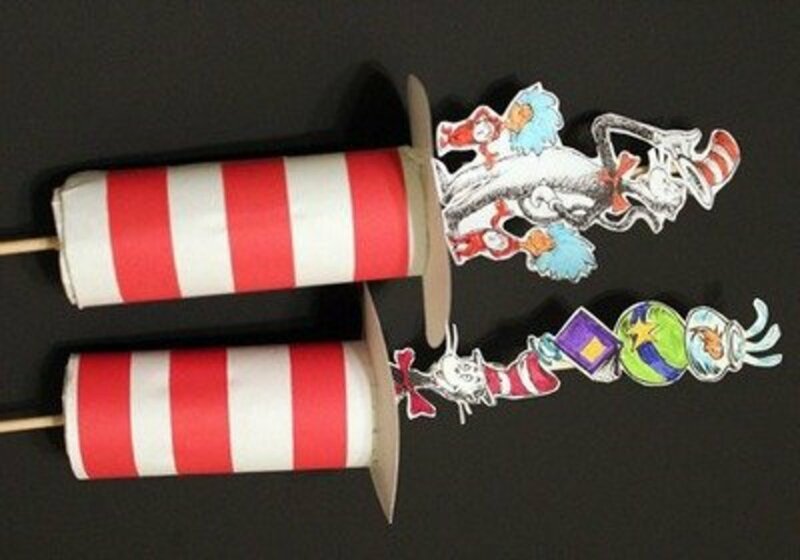 Every kid I know loves Dr. Seuss books and one of the all time favorites is Cat in a Hat. 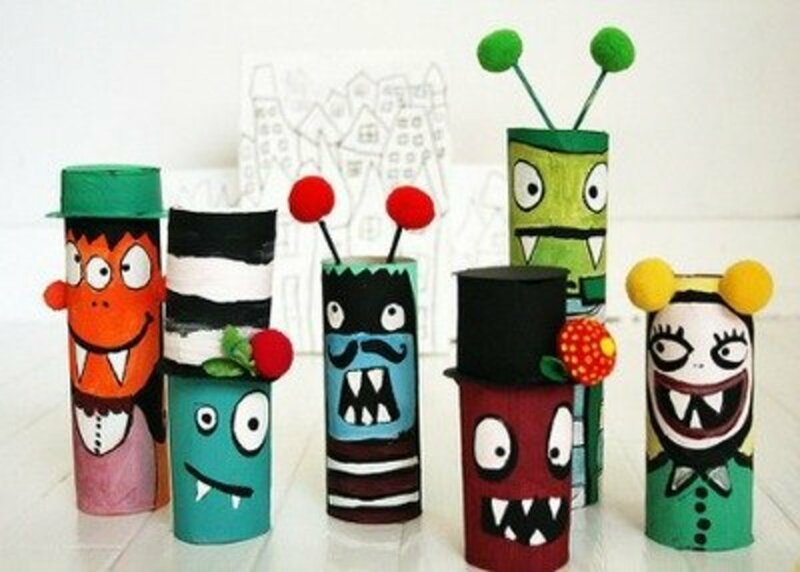 So, making these pop-ups will be a fun and entertaining project for the kids. You'll find the instructions for making the Cat in a Hat pop-ups at Stuff by Ash. Check the instructions at No Time for Flash Cards and then get out the paints and google eyes and have a blast with the little ones. 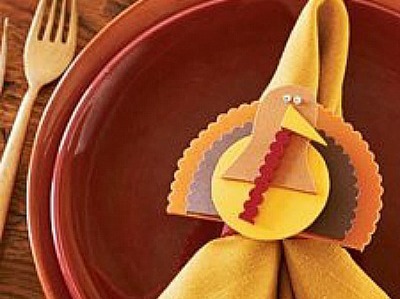 Dress up your Thanksgiving table with these cute little turkeys holding favors or as place cards. 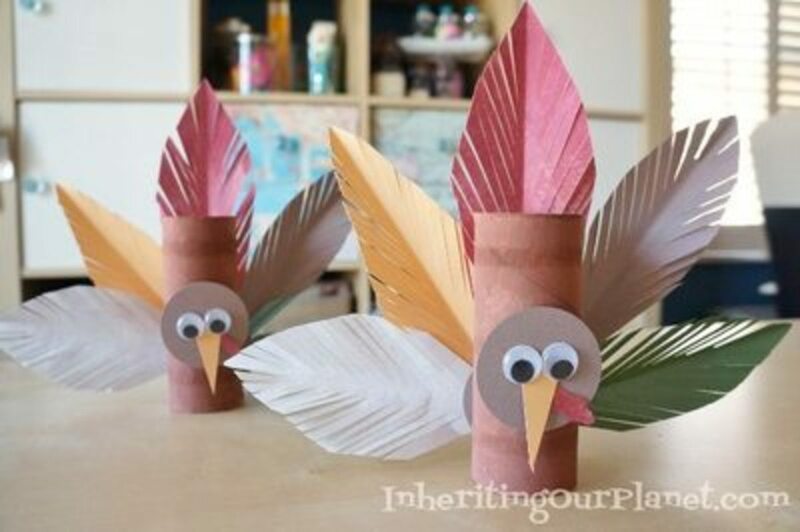 Find out how easy these turkey favors are to make by going to Diy Inspired for the instructions. 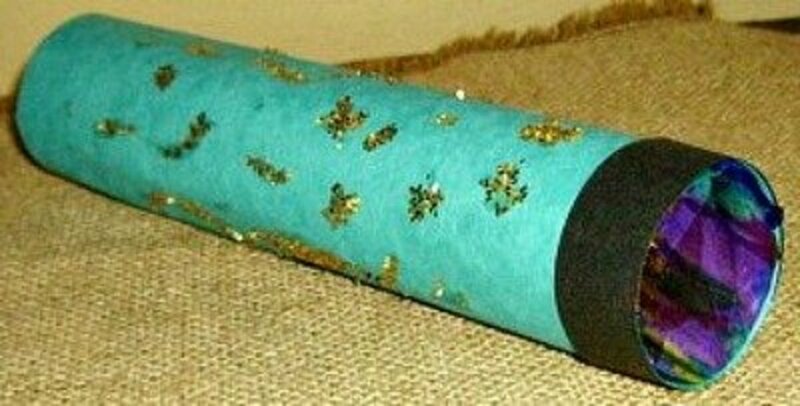 The tutorial for making these extremely attractive napkin rings is found at the Mod Podge Rocks! site. 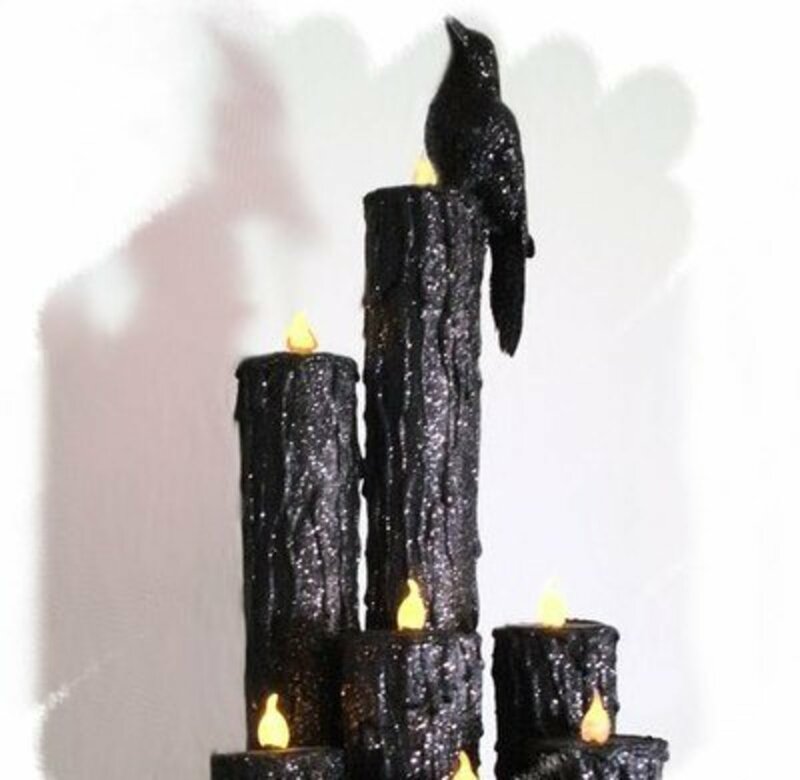 I love these black Halloween candles and see that they are very easy to make. Follow the instructions at House of Dewberry. 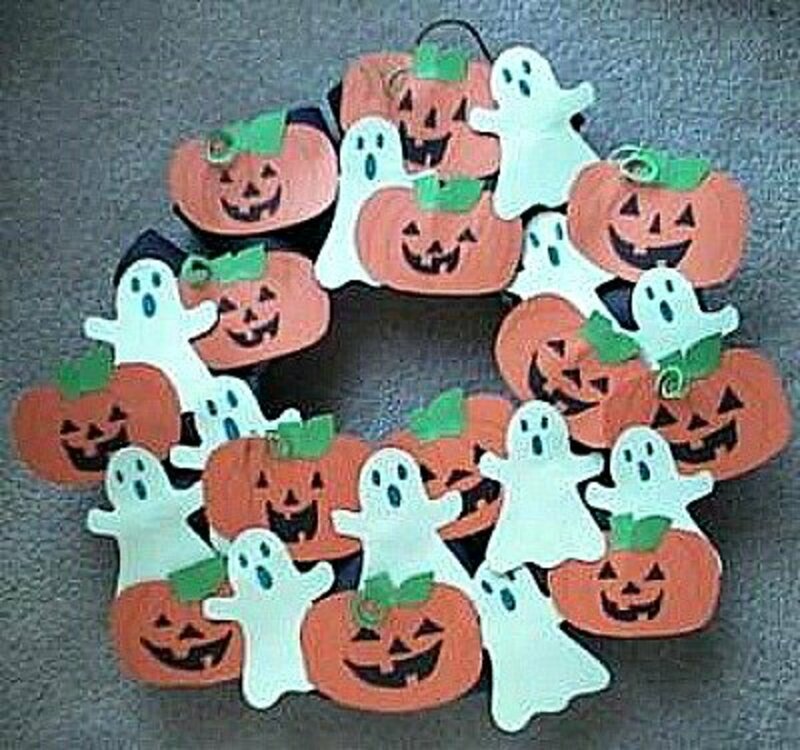 A great idea if you need decorations for a Halloween party or to decorate the classroom. 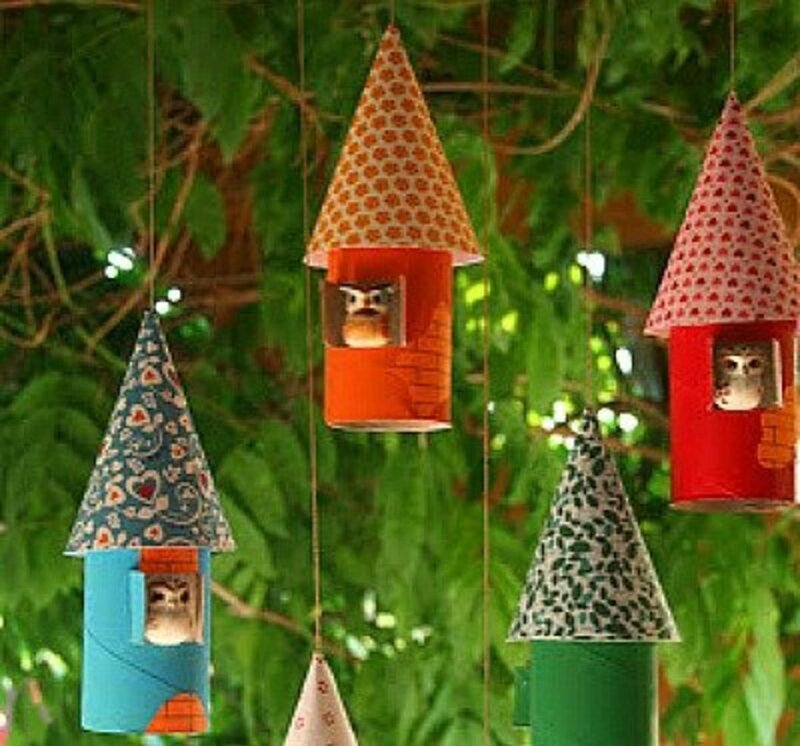 Imagine how these birdhouse ornaments could be made to use for different occasions or holidays. 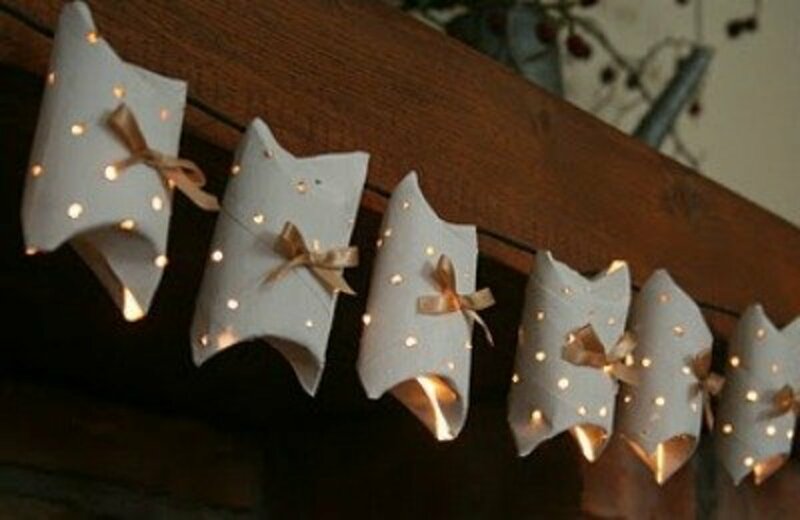 Just add a bit of cotton or fake snow to make them for Christmas, Paint them grey, purple, black and orange, add a bit of spider web and use them at Halloween. Pastel colored ones would be cute for a bridal or baby shower. The possibilities are endless. 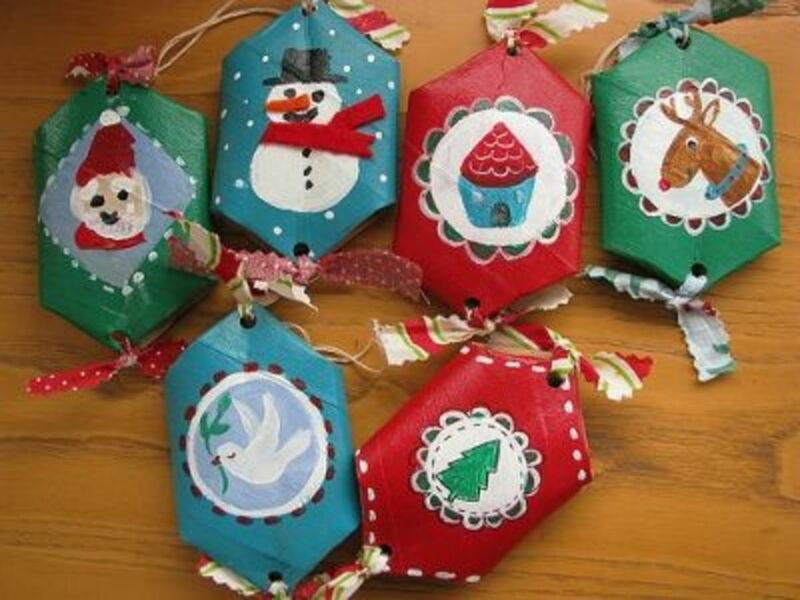 Find the tutorial for making these birdhouse ornaments at Croissant and Lavender . Who doesn't love Olaf? This character from the Frozen movie is popular with lots of kids. 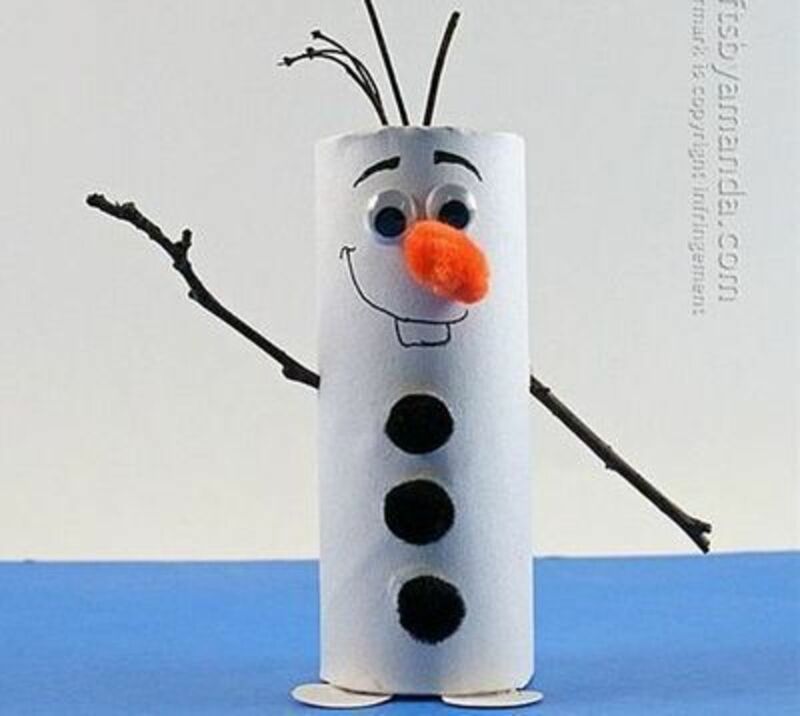 Make your own little Olaf by following the directions at Crafts by Amanda. 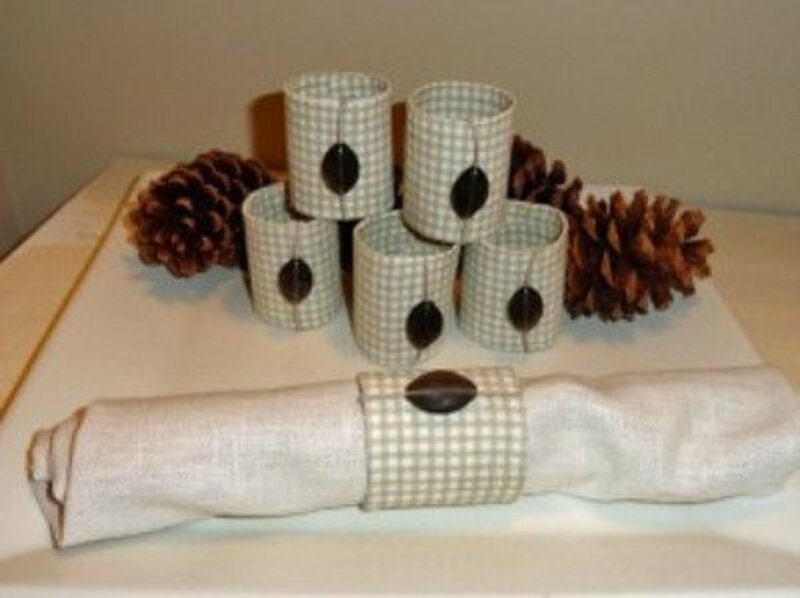 These beautiful, useful napkin rings can be found here at the Rustic Crafts & Chic Decor site. 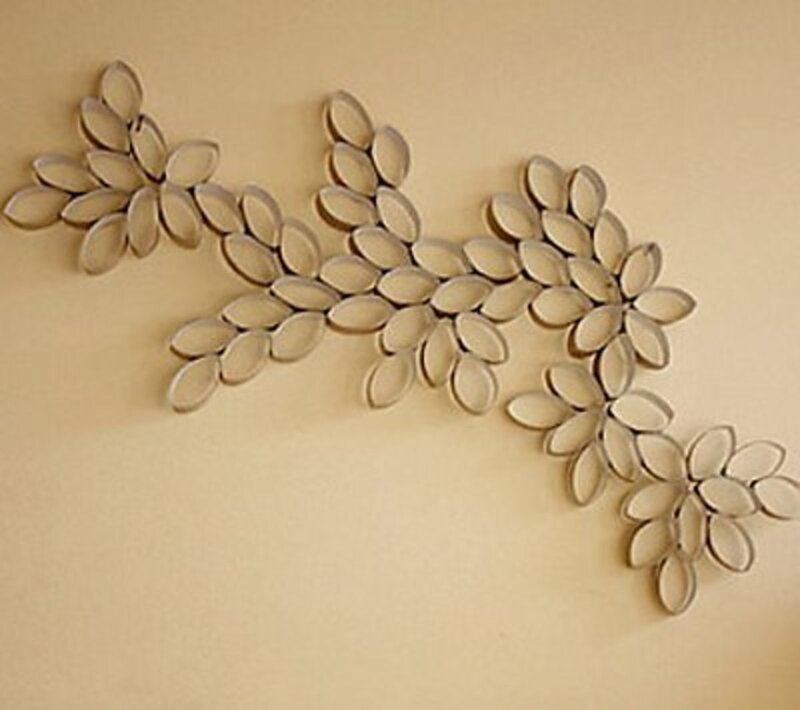 Go to Design Sponge for the directions for this wall art project. 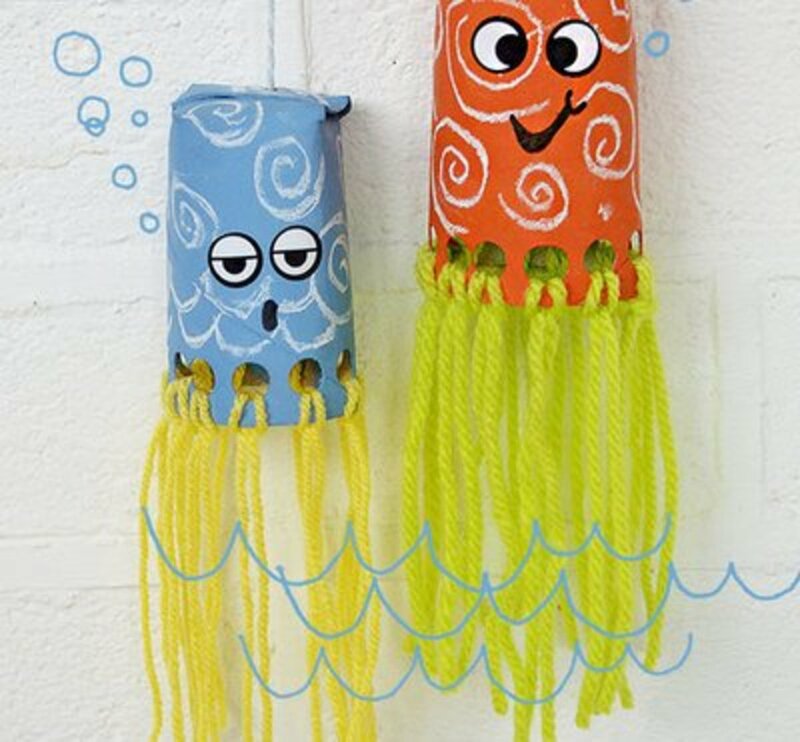 Look at this cute little paper tube octopus project. Find the instructions at Kids Activities Blog. 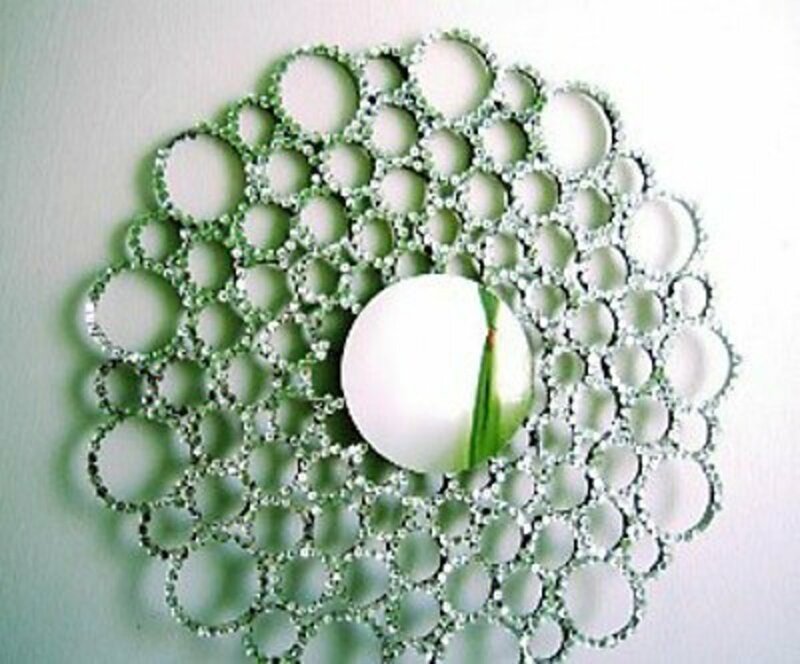 You'd never believe, without seeing for yourself, that a plain round mirror could be made into something so beautiful using cardboard rolls. See this terrific project, and the directions for making this mirror, at Meijo’s Joy. These are soo cute. 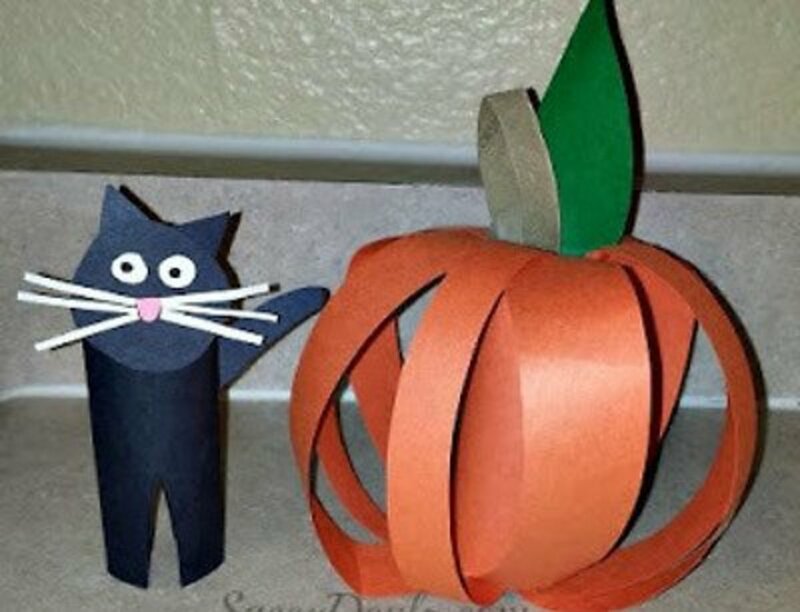 I know I'll be making some like it come Halloween. The directions can be found at Easy Peasy and Fun. Although this project is written in a foreign language, the pictures pretty much tell you how this is done. Go to Kifli es Levendula. It appears to me that a slit is cut in the sides of the tubes to fit down over the string lights. The modern look of these outstanding owls makes them suitable for any décor. 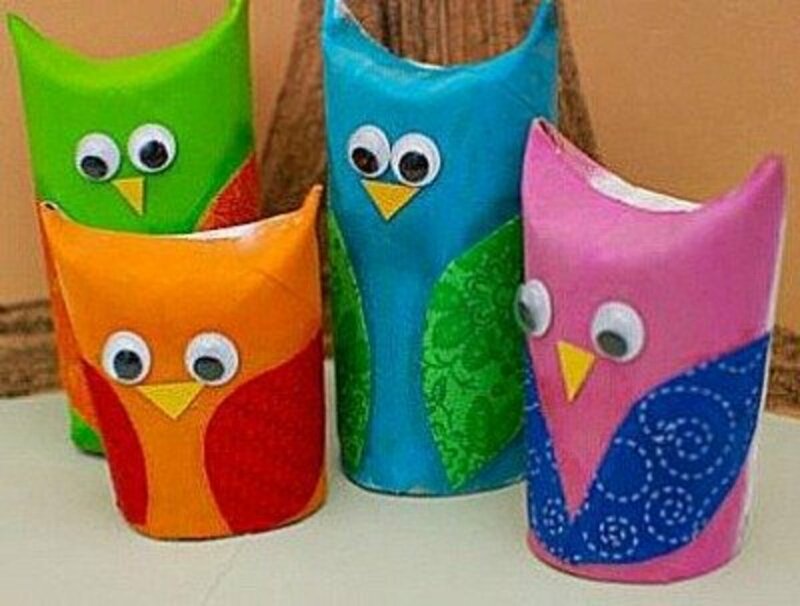 The directions for the owls can be found at Creative Jewish Mom. 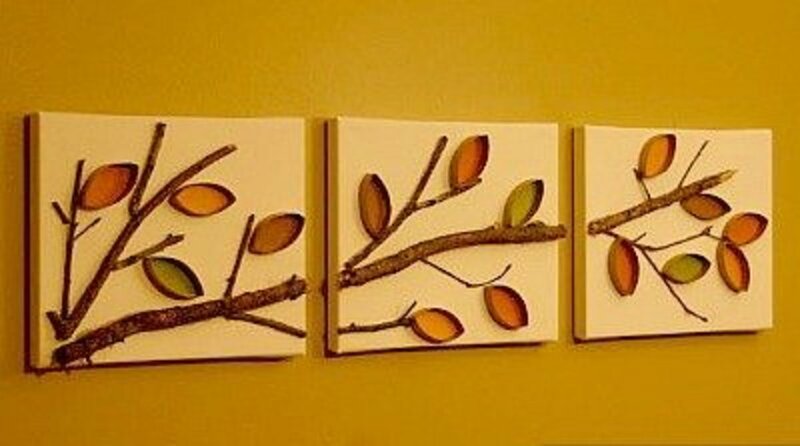 The simplicity of this wall hanging is what makes it so unique and elegant. Find the directions for this beautiful wall hanging at Revolutionaries. Make a mini city for your little matchbook cars. Find the instructions at Today’s Parent. 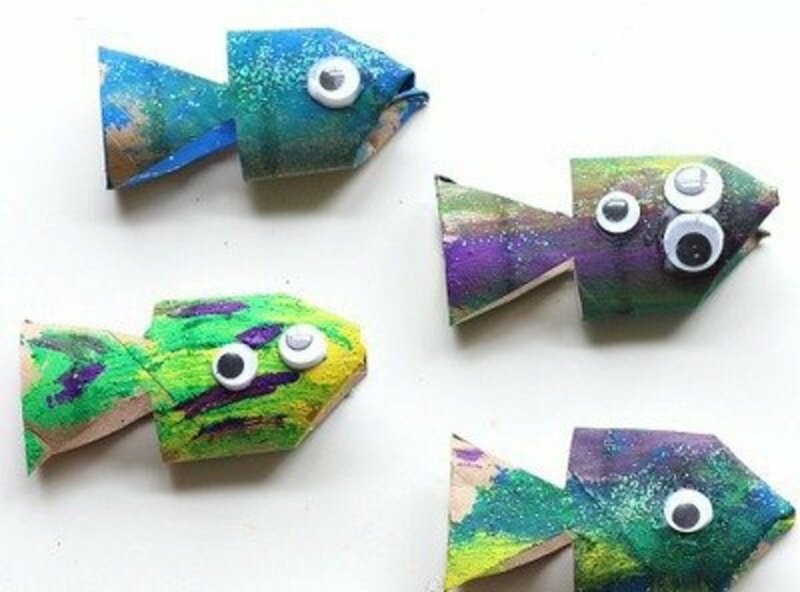 This project is easy enough for the kids, but you'll want to help them with the painting. 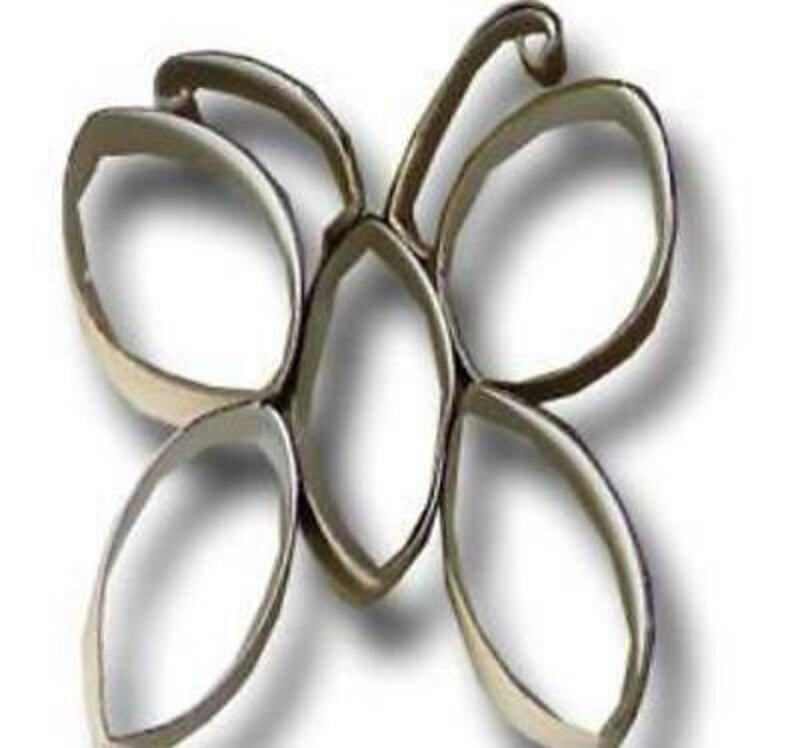 Find the directions for this simple, but elegant butterfly at Paper Crafts. A project like this appears to be more intricate than most and probably is more of an adult project. Go to Inhabitant for the directions. 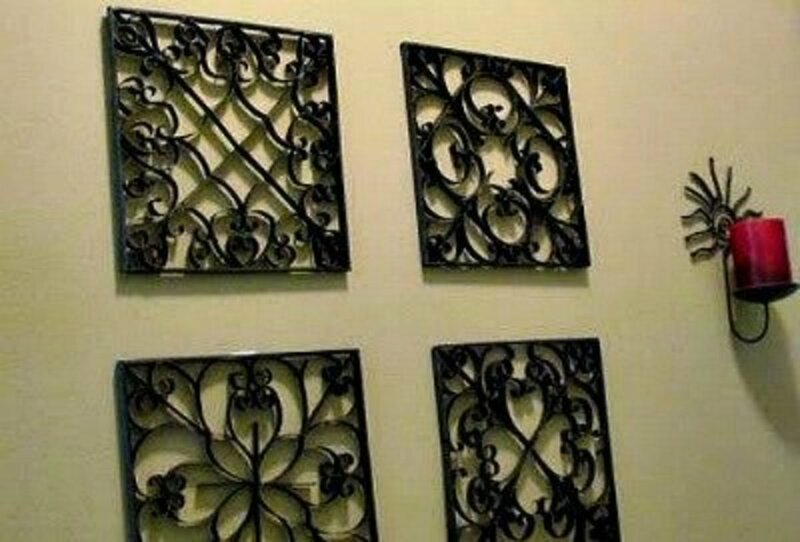 No one will ever guess that these metal looking wall plaques are actually paper rolls. 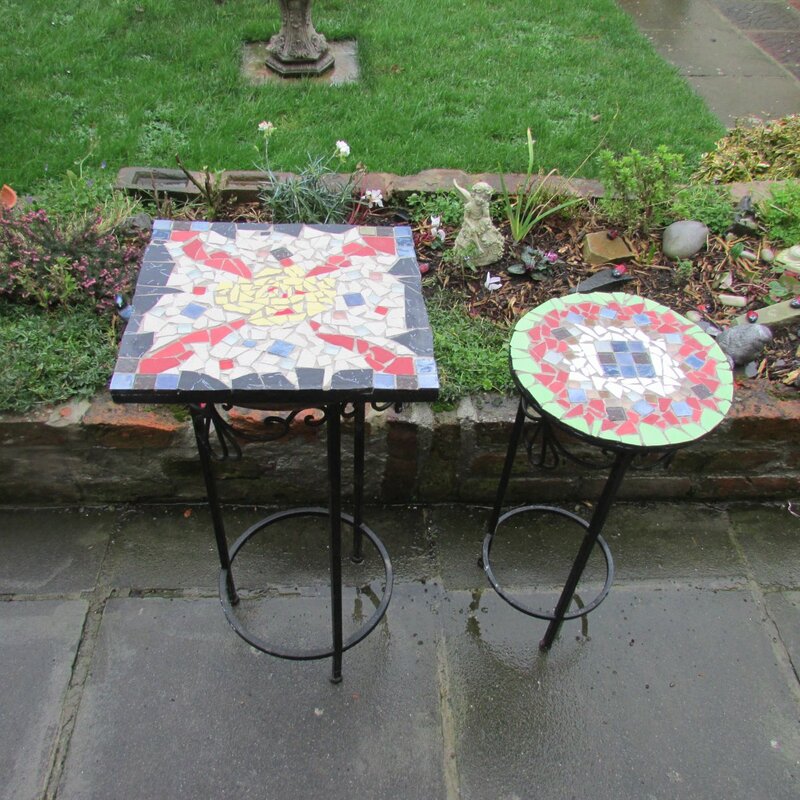 Find out how to make this terrific project by going to Suzy's Sitcom for the instructions. 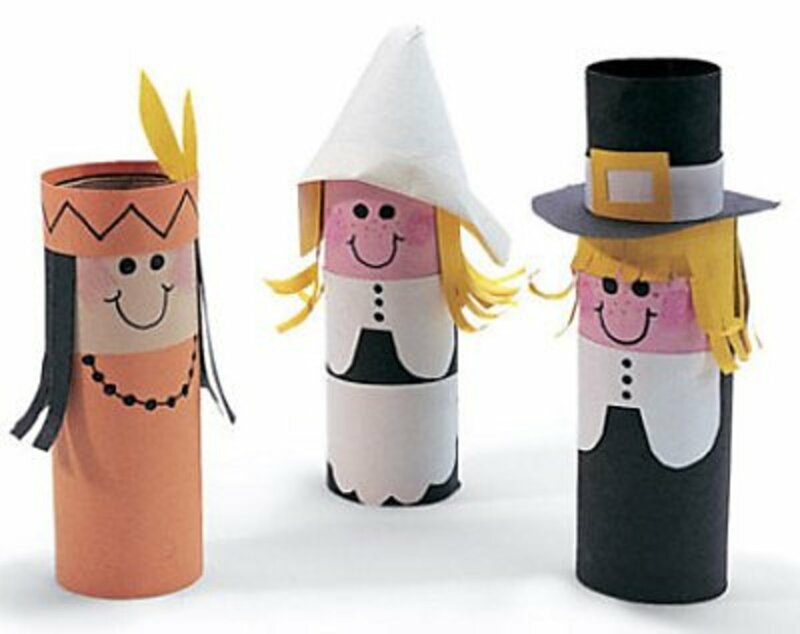 Aren't these just the cutest Thanksgiving pilgrims and Indian? Very easy to make with the directions found at LDS Activity Day Ideas. 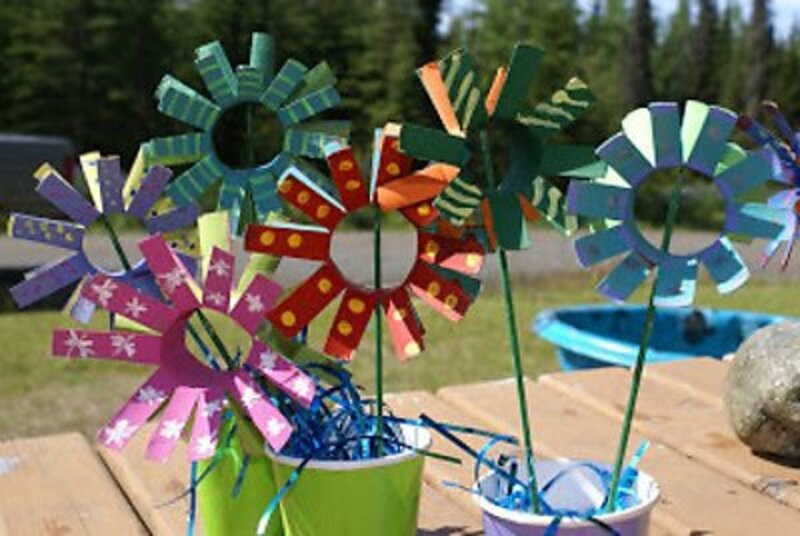 Make beautiful flowers with the little kids following the directions at It's a Wild Life. 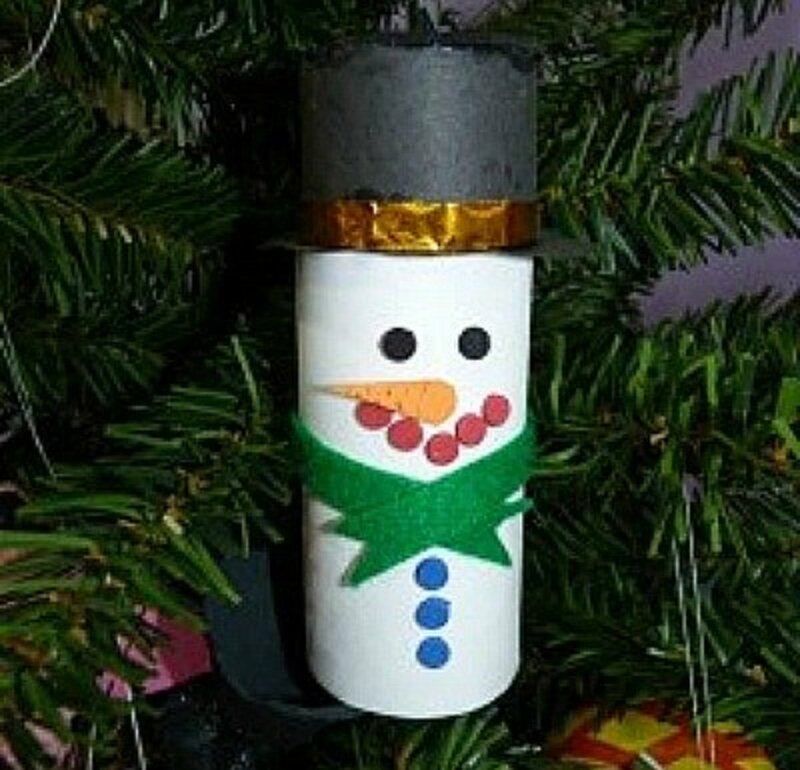 Would you have guessed that these ornaments started out as tp rolls? 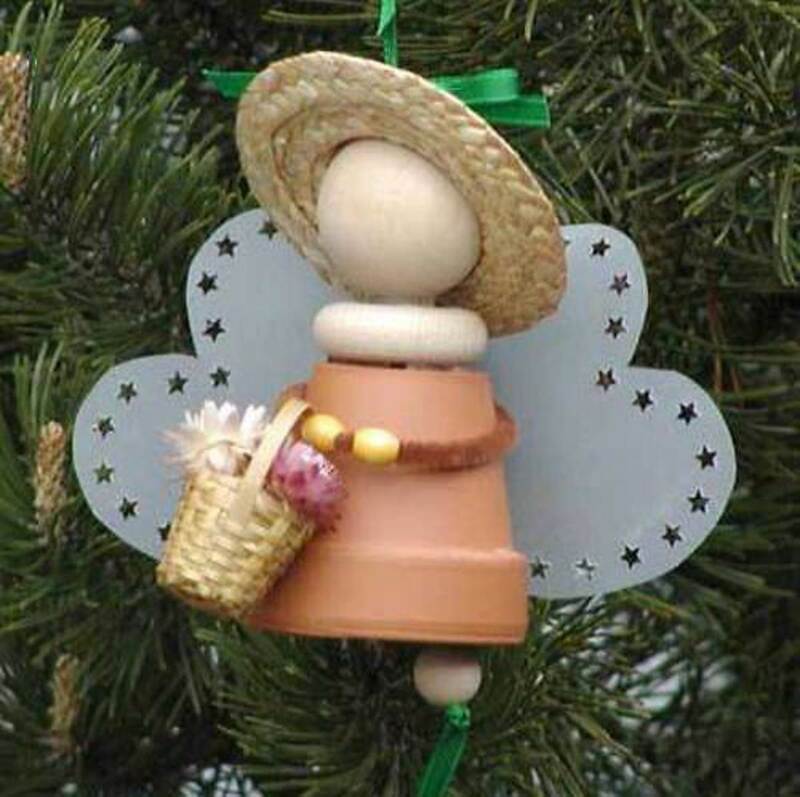 There are so many ways to decorate these to make them appropriate for your tree decorations. Go to Creative Kismet for the directions. 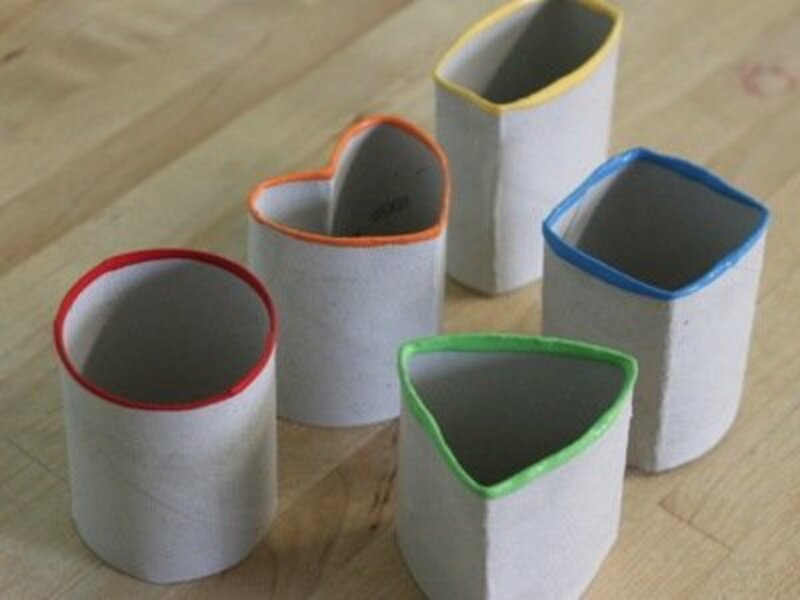 This little napkin holder is so simple to make with a paper roll and fun foam pieces. For the directions, go to the Parents site. 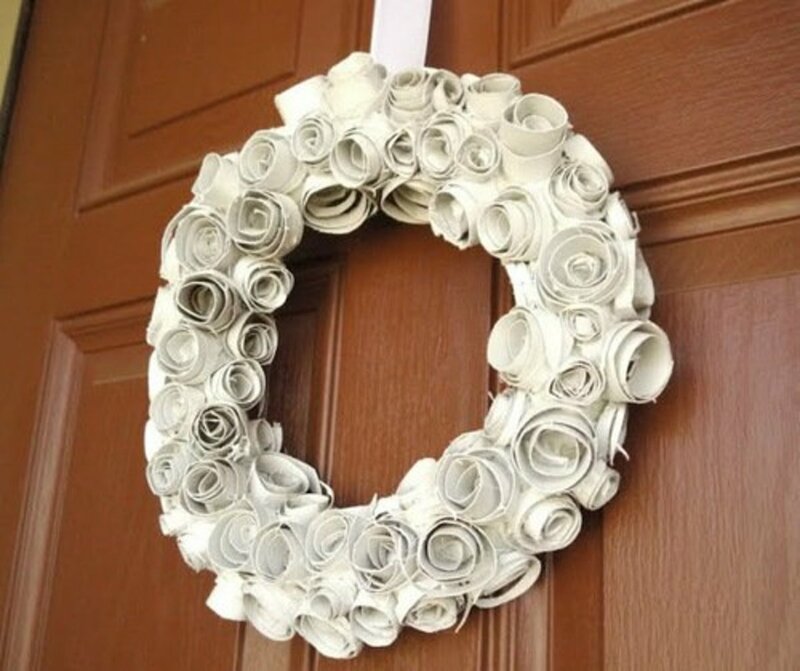 This wreath is beautiful as it is, but just imagine it spray painted gold or black. For the directions go to Creative Jewish Mom. 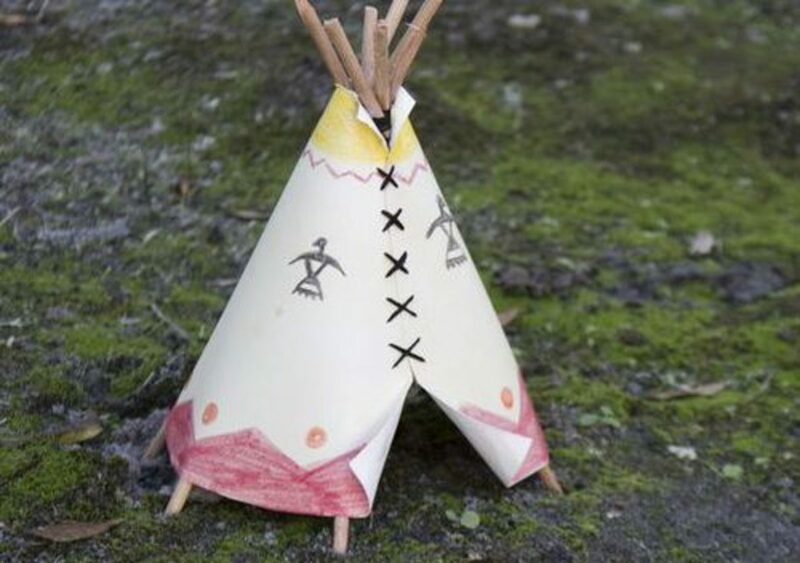 Make a few of these to set around your Xmas village. The kids will love to help you make them. For the directions, go to Crafty-Crafted.com. Who wouldn't want this cute little family in their home? The possibilities are endless with prints and colors to match the décor in any room. The place to find the directions is, the Frugal Family Fun Blog. 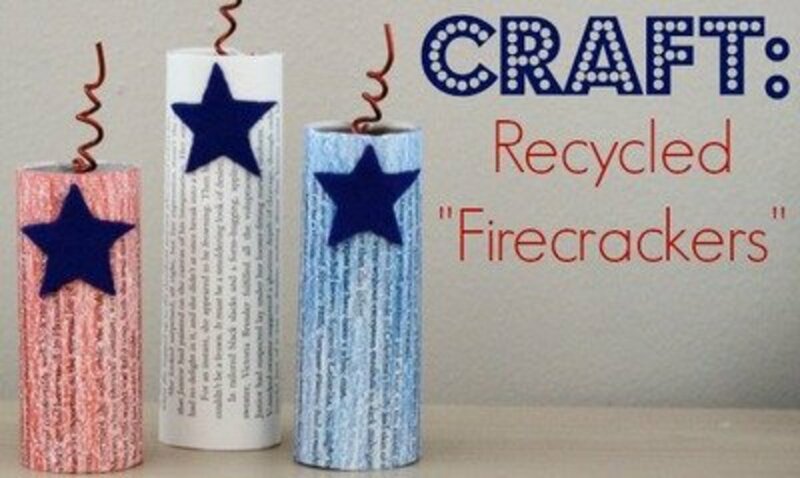 Find the instructions for making these cool firecrackers at Crafting a Green World. 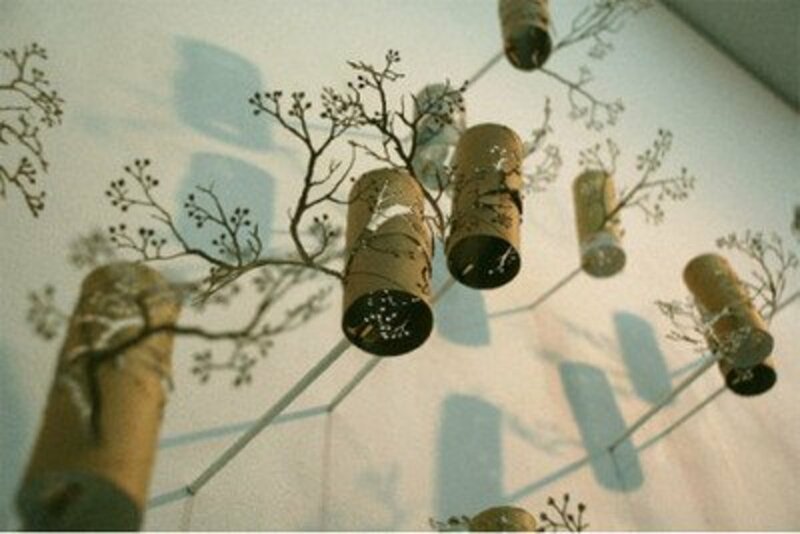 You'd never guess these flowers were made from toilet tissue rolls, they are so beautiful. If you'd like to make some for your own home, go to Craft for the directions. 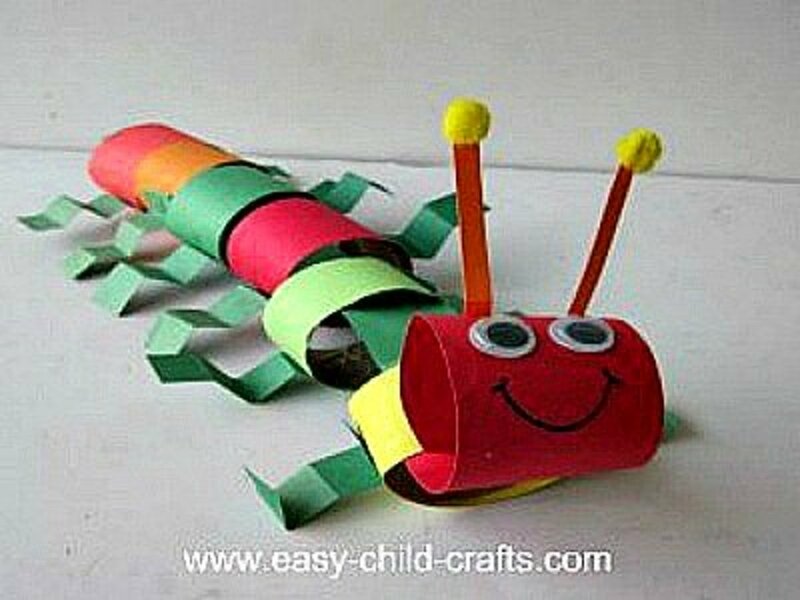 Help your little ones make these caterpillars and see how proud they'll be with the finished bug. Go to Luntiks. for the instructions. 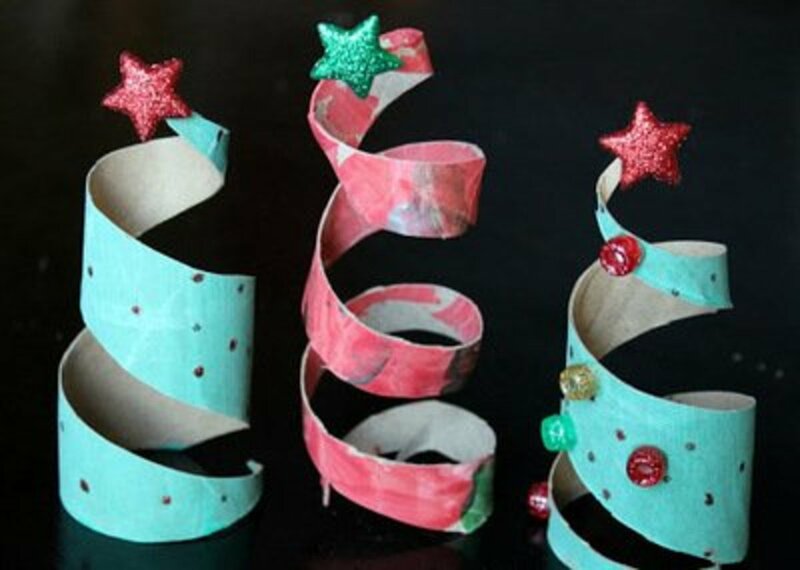 The little kids will love making these cute little Christmas trees. Find the instructions at Reading Confetti. 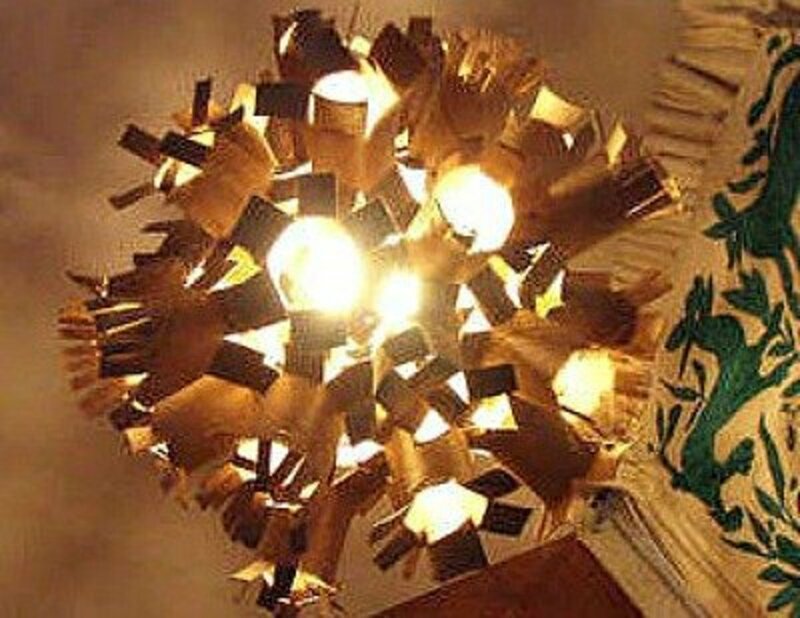 Who would believe that a beautiful hanging light could be made with toilet paper rolls. Go to Instructables for the instructions. Kids will love making these Disney characters. 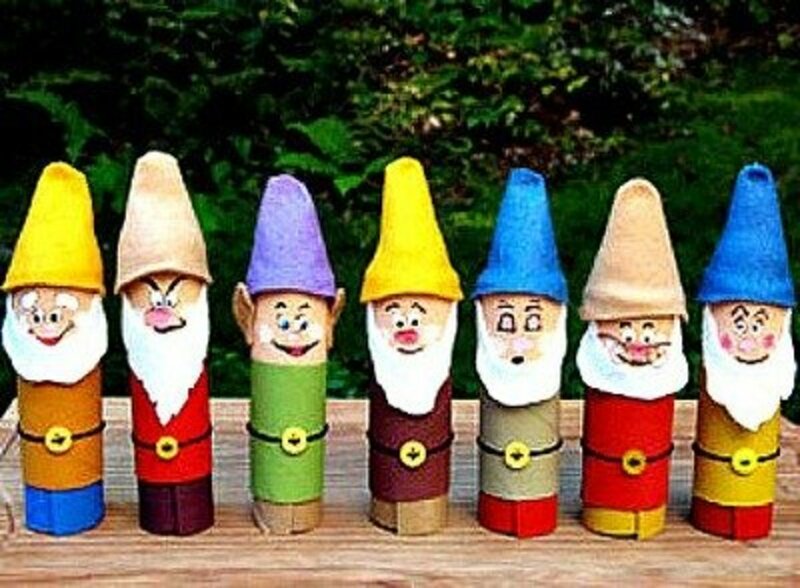 Maybe watch the movie first and then make these dwarfs. Find the directions on the Family.com site. 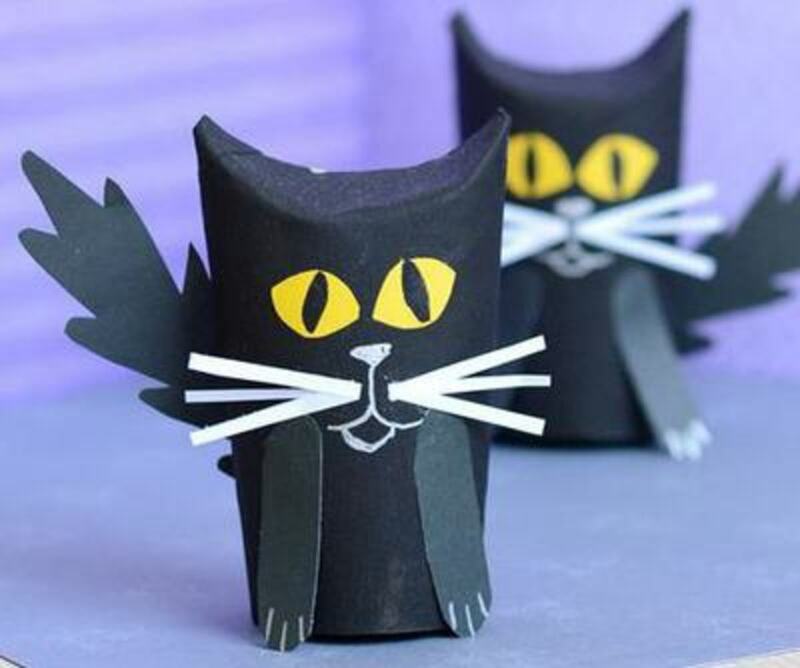 Add this little black cat to your Halloween projects for the kids. 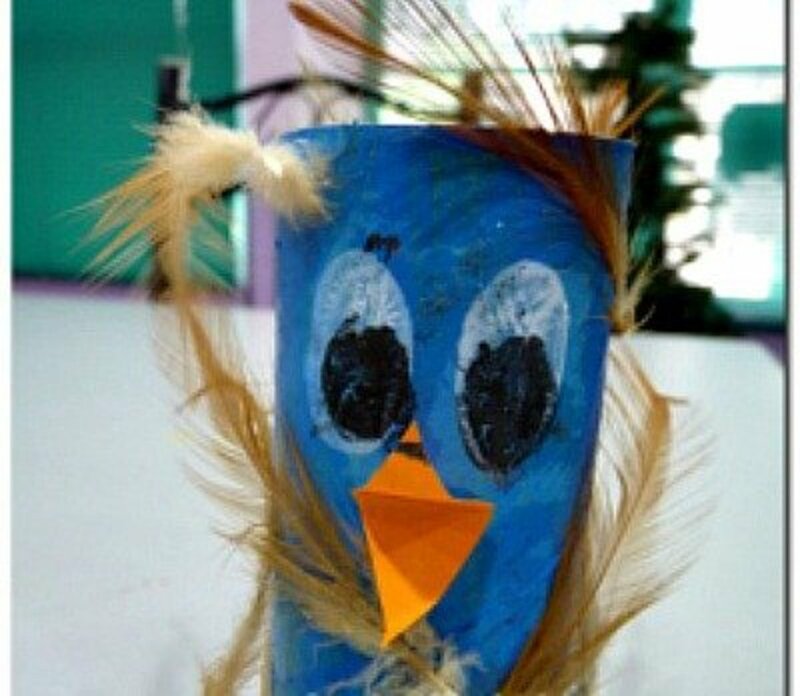 This quick and easy craft can be found at Crafty Morning. 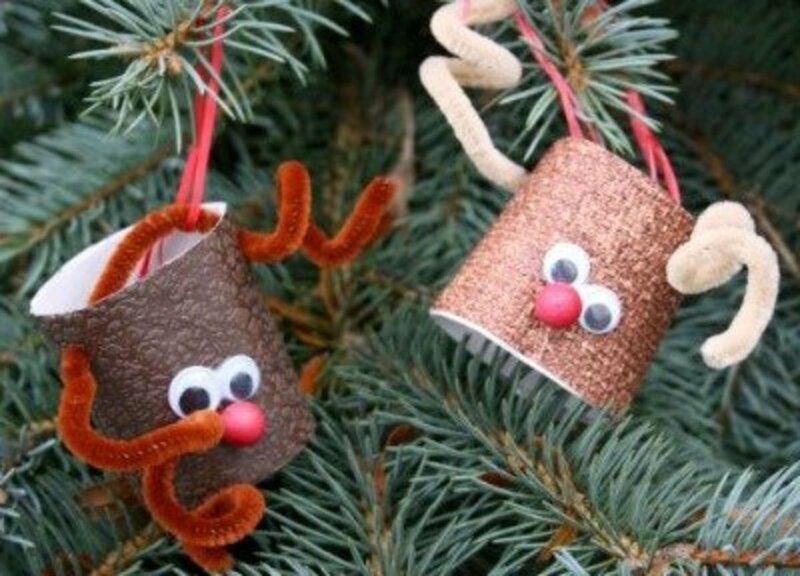 To make these super easy reindeer ornaments, go to the Happy Hooligans site for the instructions. Winter is a great time to make and hang a bird feeder outside a window so the kids can watch the birds eat what the kids have hung out. 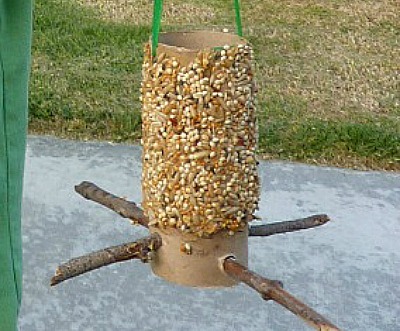 Make this easy and simple bird feeder by following the instructions at Mommy Gaga. Cute, cuter and cutest. I love them all and wouldn't they look great on the tree? Go to Craft Snob for the instructions. 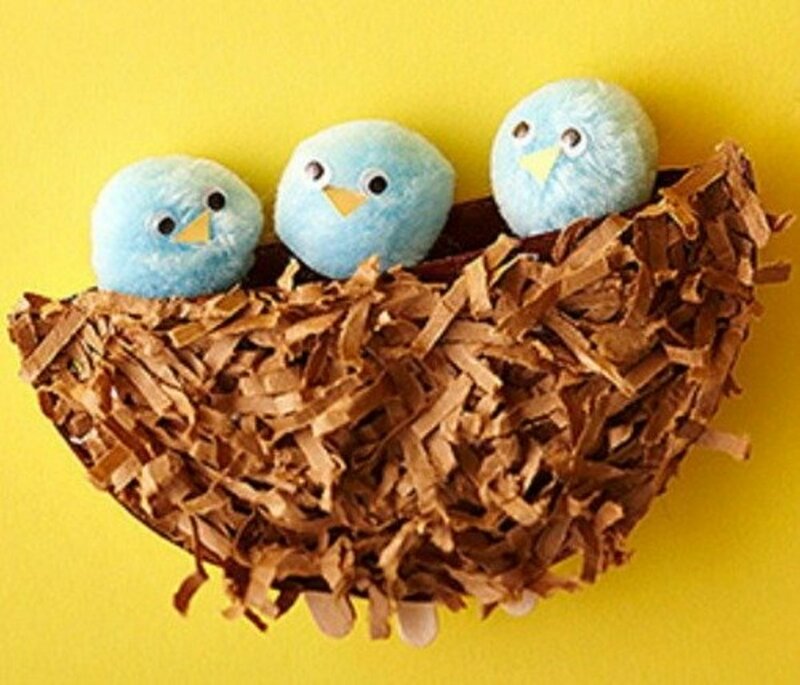 Make a flock of these feathered birds and hang them from the ceiling to get the feel of an early Spring. 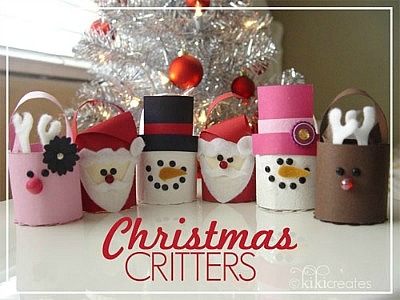 Go to Crafty-Crafted.com for the directions. In Japan a special day is celebrated, boys day. That day replicas of flying carp are displayed on a home, a carp for each boy in the family. To me, this looks like a fun art project to do at home or in a classroom. 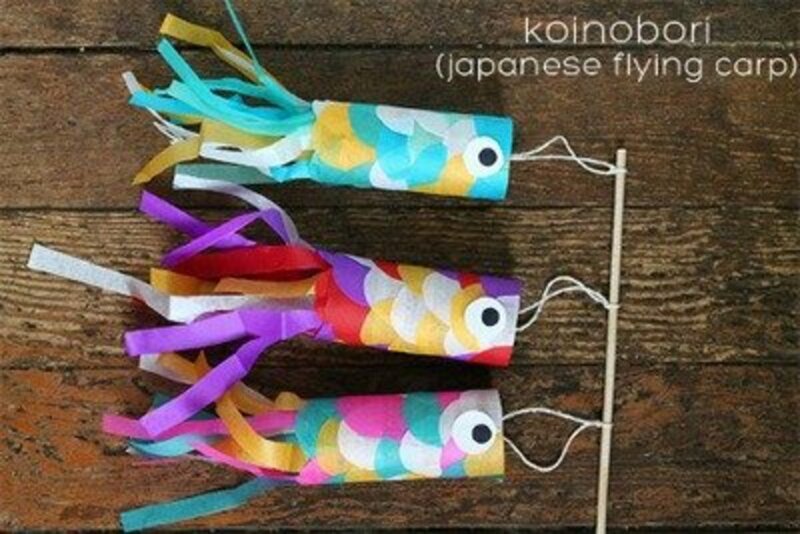 For the instructions on making koinobori flying carp, go to Squirrelly Minds. This is a great activity for the very littlest artists. 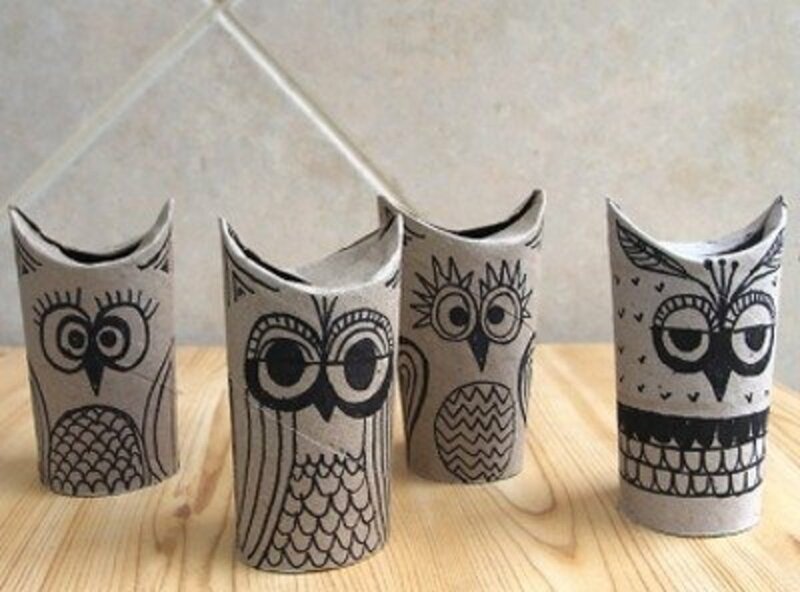 The stampers are easily made using toilet tissue rolls, as you'll see by going to Mama. Papa. Bubba. for the instructions. You'll be surprised at how this Halloween wreath is put together. It's easy, it's cute and it's from DLTK. Go there for the directions. You'll get all sorts of unique little monsters when you have the kids painting these. You'll find the instructions for this project at Alias Burke. 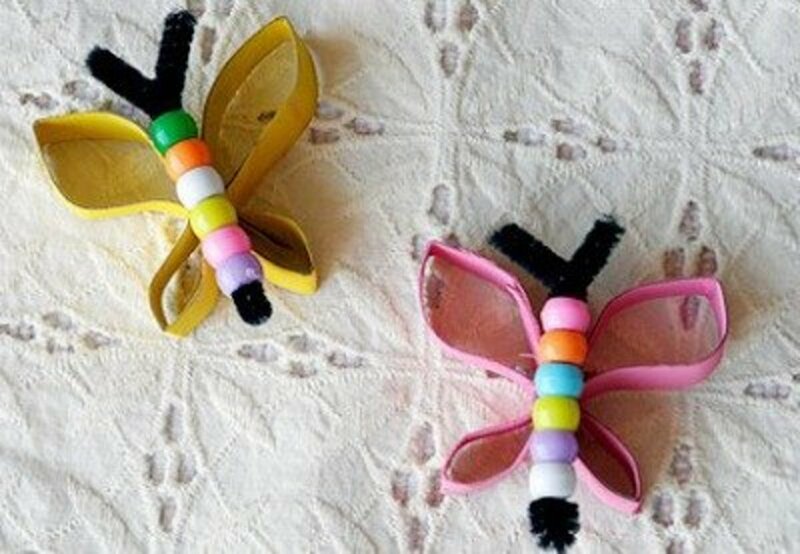 CRAFTS BY Amanda has the instructions for making these cute butterflies using cardboard tubes and beads. I think these little tree are just too cute. 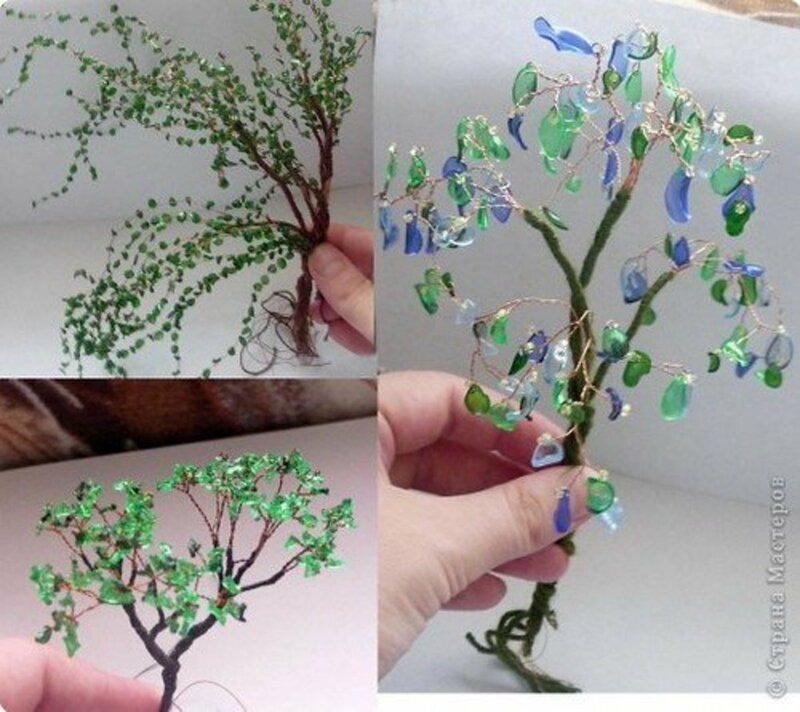 I'm sure a mom or a teacher will be able to think up cute ways to use these spring trees in their home or at school. 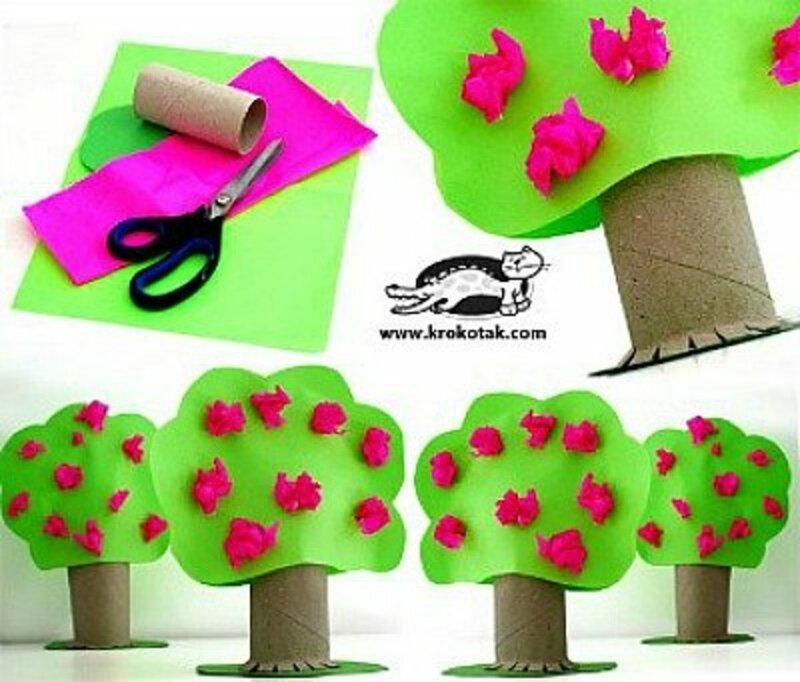 The directions for making these Spring trees can be found at Krokotak. 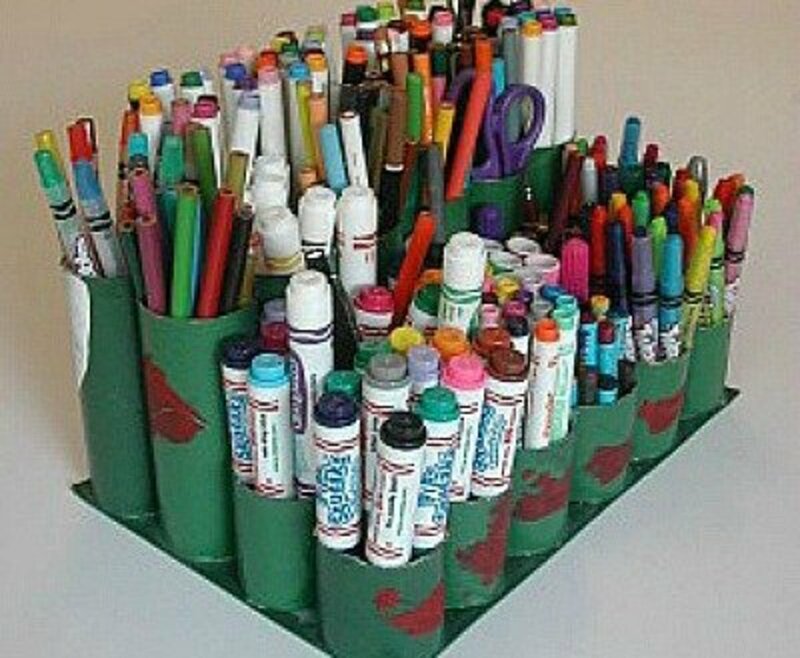 How useful this art caddy would be in a craft room. 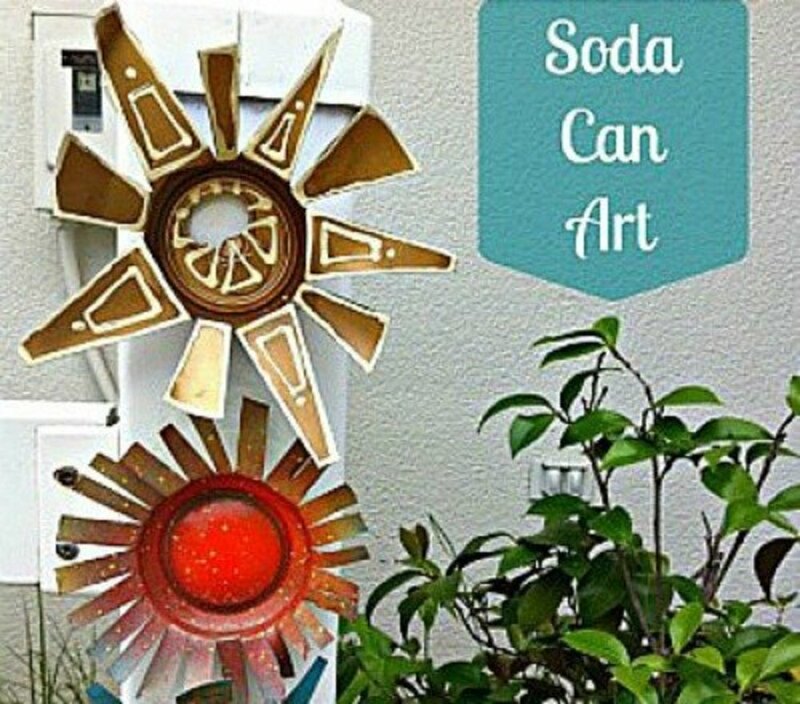 Keep all your art supplies at your fingertips by making and using this art caddy that has instructions for making it at Instructables. This would make a nice gift to give to Mom for Mother's Day. There is a great lesson to learn about what makes things move in this project. 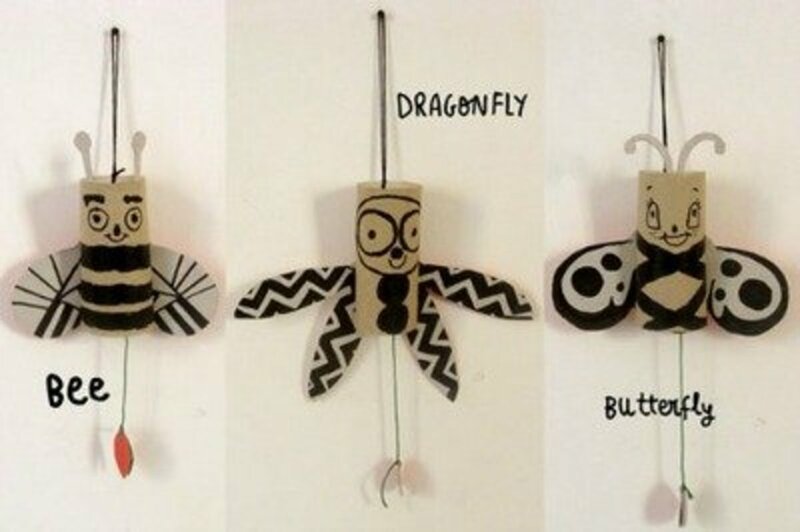 Help the kids make these jumping jack bugs by following the directions at Handmade Charlotte. This is a great project for the classroom or a scout activity. If you like to start your garden seeds early, make some of these seed starters to plant them in. 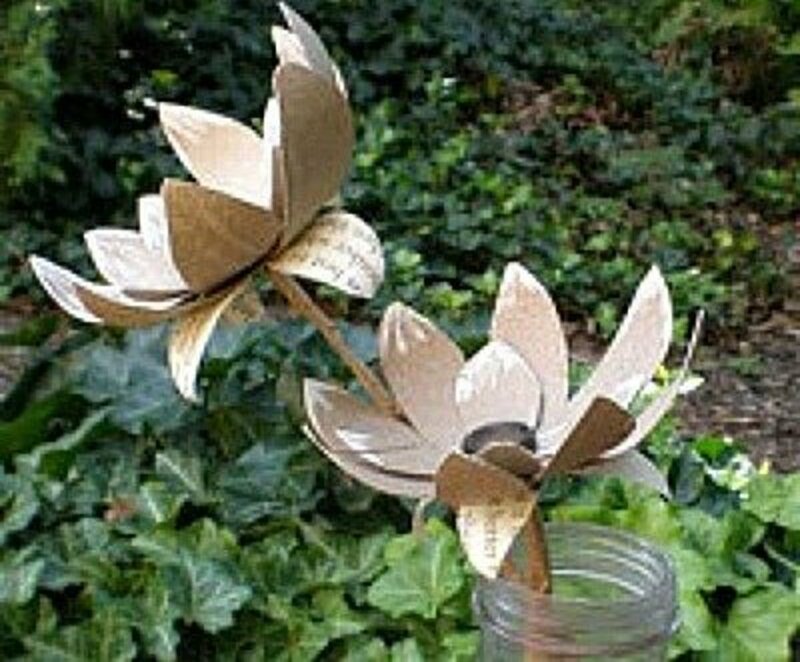 You'll find the instructions for making these seed starters at Goods Home Design. You'll find that this site, Krokotak, is written in a foreign language, but the pictured tutorial makes it very easy to understand the instructions. 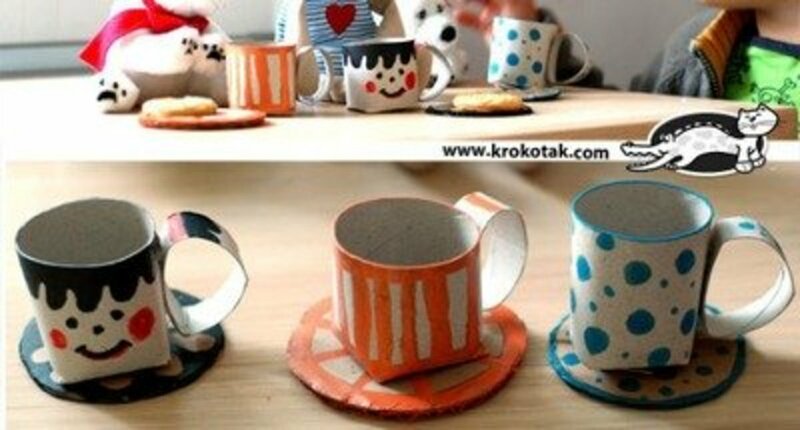 This will be a fun activity for little girls while they plan a tea party. This is such a great idea and I think it could be made for anytime by changing the colors and greenery. Go to Create Serendipity for the instructions. I've always liked the idea of displaying an Advent calendar to help the kids understand how many days til Christmas. 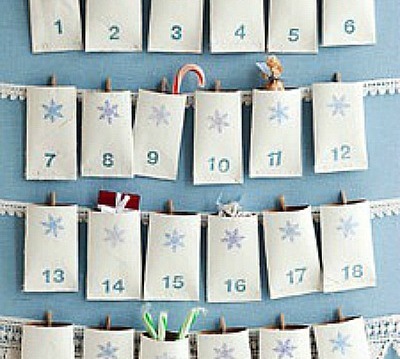 Using the instructions at Woman’sDay, make this simple and easy Advent calendar for your family. Isn't this little fellow cute? You can find the directions for how to make him at Childmade. 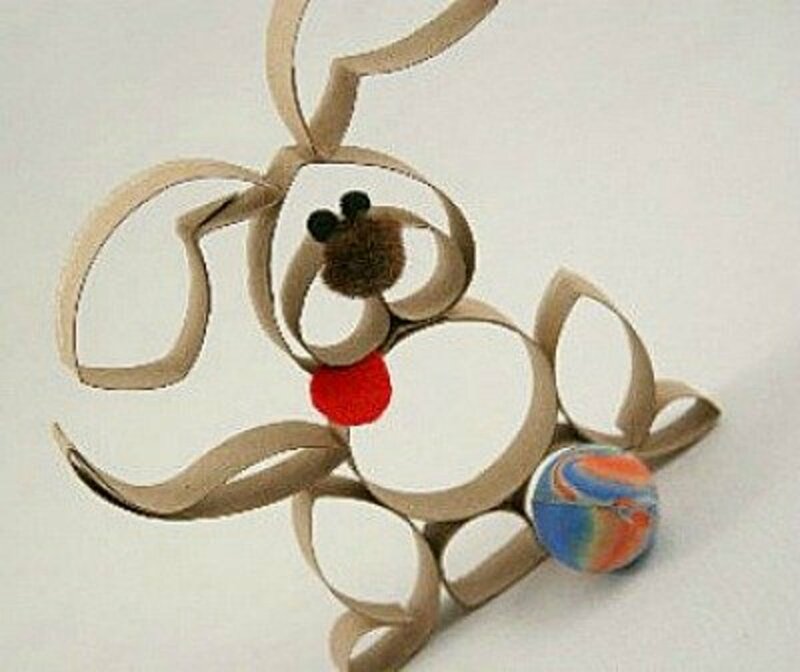 I think this puppy could be made to look like a bunny by making the ears a little more pointed, giving him a pink nose and a round tail. Nice project. 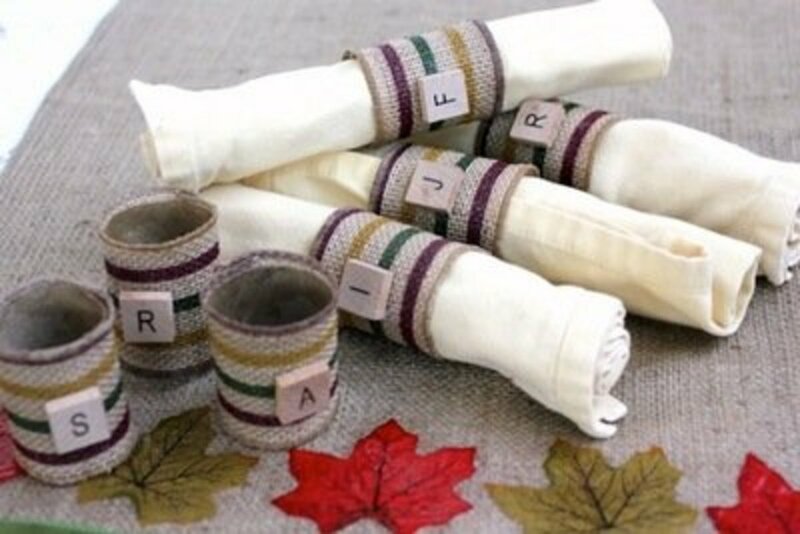 Imagine making napkin rings with the modern look of birch using paper rolls. Find the instructions for this project at Homework. 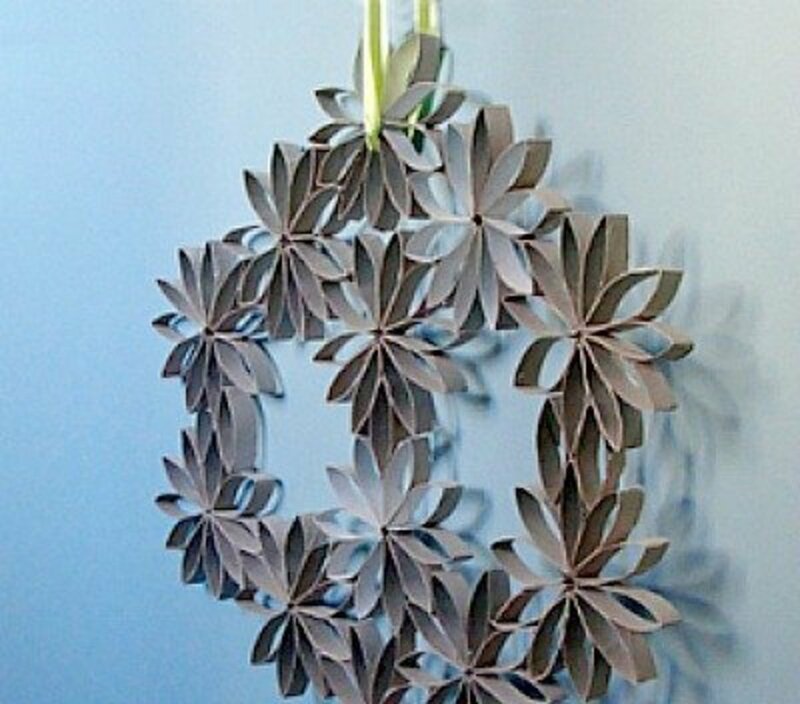 An outstanding, easy to do craft. 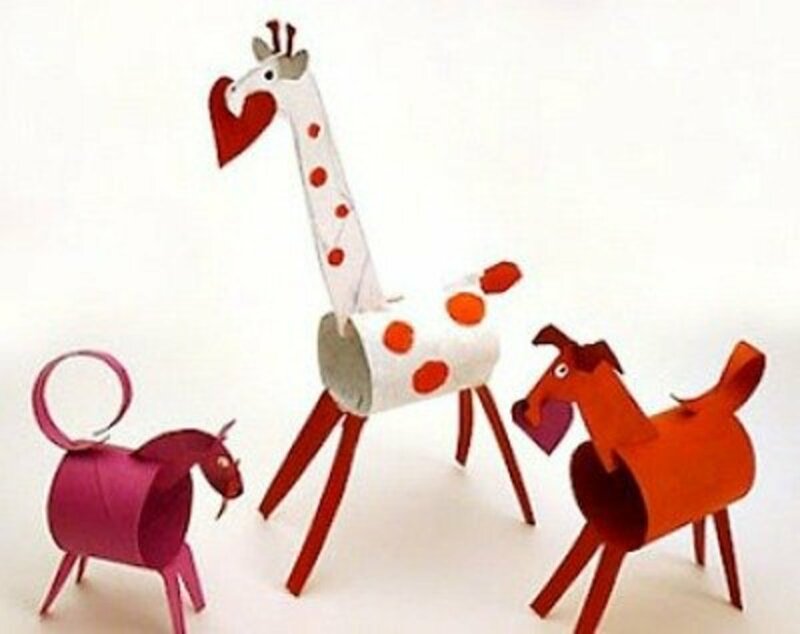 You'll find the instructions and patterns for the heads and legs to make these animals at ZiggityZoom. Make these as Valentine decorations, or change the hearts to little rectangles and add a name or a message. WOW! This is amazing. My minds a tickin'. Thanks for the fun information. Nice job! Clever ideas - who would have thought! Amazing handcrafted design! Very useful information as well. ~Blessed by a Squid Angel. Finally! A craft that even I can do. Excellent lens. 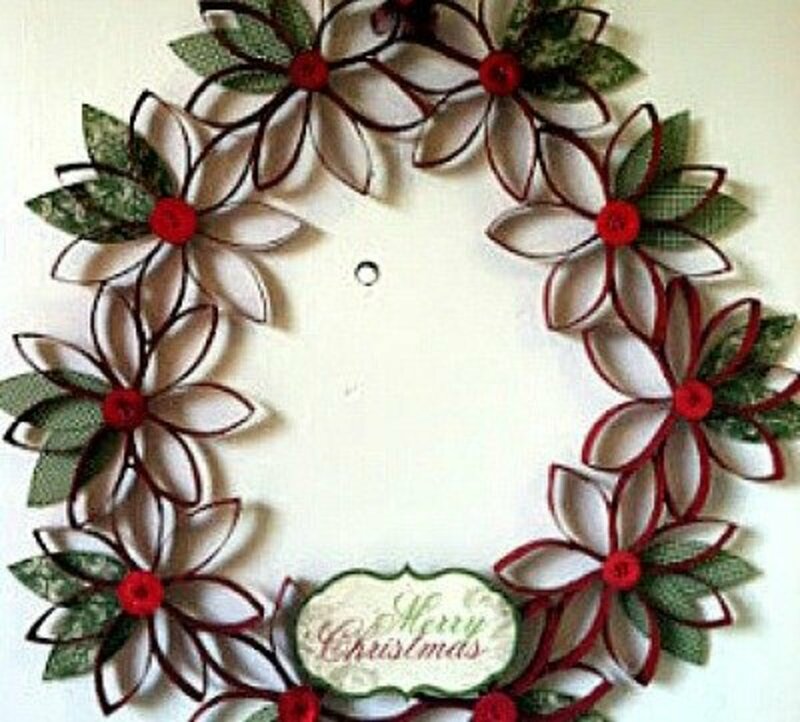 I just love the wreaths! I may have to start saving my rolls!! 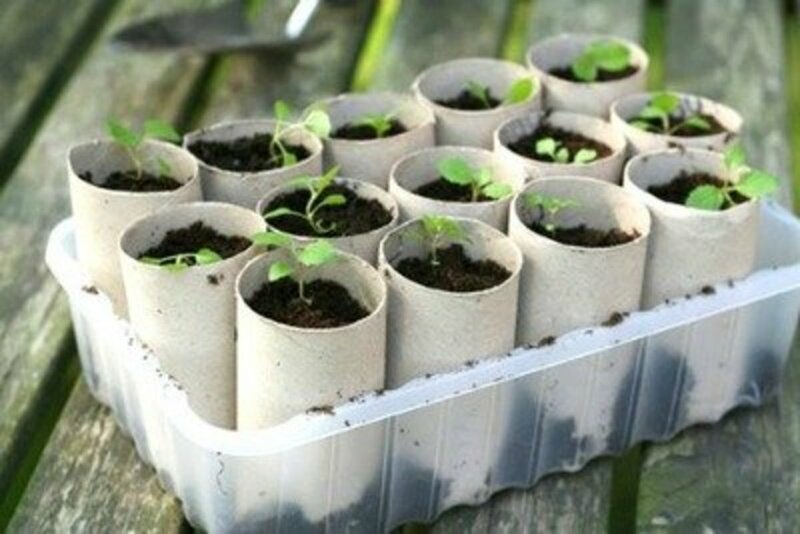 great ideas on how to make use of the empty paper rolls. every time i use the kitchen roll, i will remember you. i use them to plant my seedlings. thanks for sharing. I really loved the kaleidoscope and the other crafts too. wonderful. I like your ideas so much. You are welcome to see my lens about Don't Throw Plastic Bread Clip Away Any More. Thanks. Very creative ideas. I really like the wall art/decorations. What a great idea, I never knew about this, thanks for sharing angel blessed!